So there's a new trailer out for this summer's upcoming and unfortunately titled Terminator: Genisys and it is apparently EXTREMELY spoilery in terms of this movie's particular timeline-related twists. I have, therefore, not watched it. But you might want to. So it's embedded below. Look, I've long held that studios give away far too much information about a movie in their attempts to sell it to audiences. With a known quantity like Terminator, this habit is all the more baffling. However history judges this particular installment, we all know what we're getting when it comes to the franchise as a whole. If killer robots and time travel isn't your bag, then these aren't the movies for you. Otherwise, you're probably already on board, or at least morbidly curious. That's sort of where I fall at this point - skeptical but intrigued. So I guess this means I'm officially into my traditional marketing blackout mode now that summer is almost upon us. 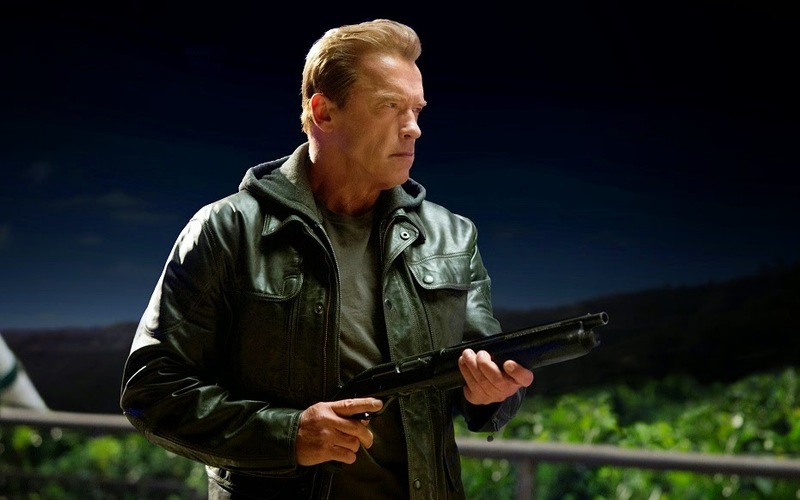 For all you Terminator fans out there, we're planning on doing a full franchise rewatch on the podcast in the weeks leading up to the release of Genisys, so dust off your DVDs and get psyched! For what it's worth, there's a $50 box set available on Amazon, or you can do what I did and buy each movie individually and save yourself $16.